Q. How do I schedule an appointment? Q. Why would I only get one cleaning per year? Q. What happens if I change offices? We Like To Pride Ourselves On Being Experts At Common Sense Retirement Planning! Contact Us TodayFind Out How We Can Help You STAY Retired! Retiring is easy, but staying retired is difficult. We specialize in making sure our clients stay retired. More than 400 back office team members at Income For Life that will be working on your retirement plan and helping you STAY retired! 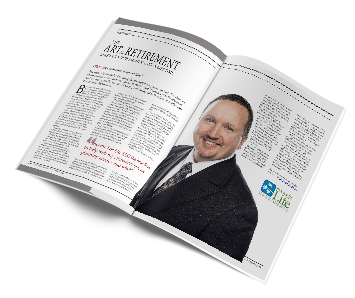 See what our clients are saying about Income For Life and the over 400 back office team members and certified financial planners at Income For Life. *Annuity guarantees rely on the financial strength and claims-paying ability of the issuing insurer. Annuities are insurance products that may be subject to fees, surrender charges and holding periods which vary by carrier. Annuities are NOT FDIC insured. **Some fixed index annuities may have a lifetime income guarantee as part of the base policy; others may have riders availablefor additional premium that provide this benefit. By contacting us you may be offered information regarding the purchase of insurance products.